The Concordia Student Union is requesting academic amnesty for students who feel unsafe coming to the university because of the bomb threats made yesterday that targeted Muslim students. In an open letter sent and signed by the CSU executive team last night to the university administration, it requested that student attendance not be counted from March 1 to 3, and that all exams and assignments scheduled during that period should also be cancelled. “These events were traumatizing to some, triggering to others, and made many feel unsafe,” the CSU wrote in the letter. The university has since granted partial amnesty for students affected yesterday on March 1—but not from March 2 to 3. 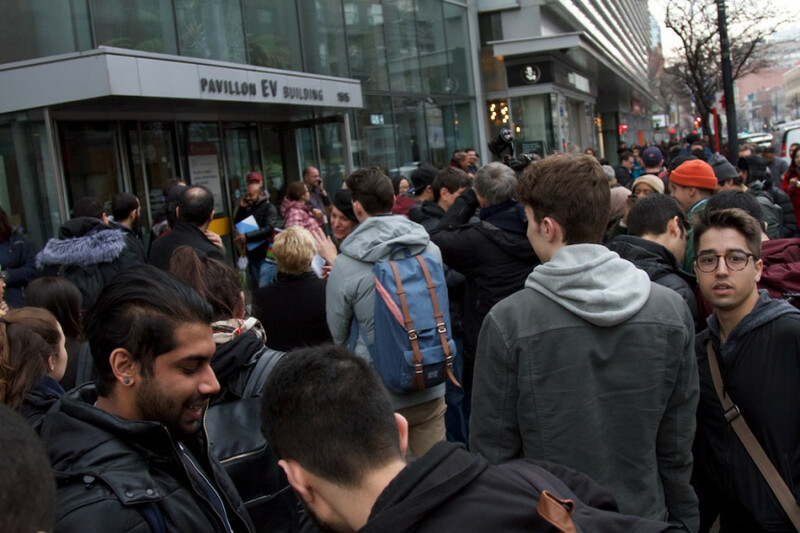 “In light of the disruptions to academic activities caused by the events of March 1, I ask that all faculty members make appropriate accommodations for students whose classes were disrupted,” wrote Concordia Provost Graham Carr in a statement released today on the university website. The letter by the CSU further stated their disapproval towards the university for reopening the Hall and EV buildings—the locations targeted in the letter—at 6 p.m. last night. Carr, in his statement, said that although they reopened the buildings last night, public reports yesterday may have legitimately confused students as to whether their classes were still on or not. His statement ended with a list of contact information for Concordia Counselling and Psychology Services. 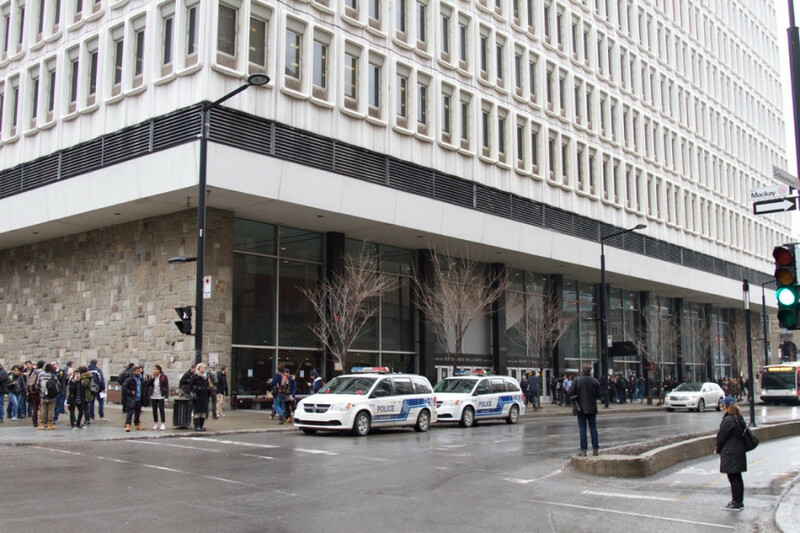 The CSU letter came out a few hours before Montreal police arrested a 47-year-old Côte-des-Neiges resident in connection with the bomb threats, according to local media reports this morning. Sophia Sahrane, the CSU Academic and Advocacy Coordinator, wrote in a statement to The Link that the decision of the administration to reopen the university last night was unacceptable. “This experience was traumatizing to me and many others, and must have been triggering to many, not just people from the Muslim community,” Sahrane said. The Muslim Student Association at Concordia continued with the events they planned for their Islamic Awareness Week today in the lobby of the EV building. It will go on until 6 p.m.
On Facebook, the MSA asked that all Concordians come out in solidarity and support. Free samosas, cotton candy and Krispy Kreme donuts will be served all day, according to the post. A screenshot of an email from a Concordia address. 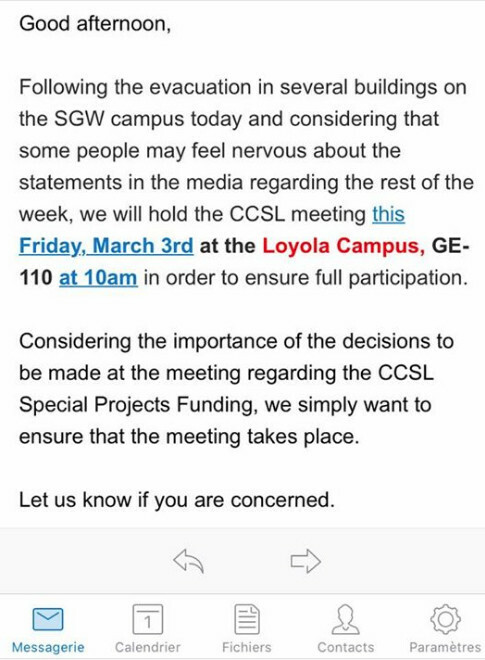 At least one meeting involving a Concordia administrator has been moved to the Loyola campus because of concerns about safety on the downtown campus. The Concordia Council on Student Life has had a meeting moved to Loyola tomorrow on March 3 in order to ensure full participation, according to an email from a Concordia address. “It was a caring gesture,” she said. She clarified that while Woodall is an administrator from the university, the CCSL comprises of students, staff, and faculty. When the screenshot emerged, there was confusion as to whether other administrators would move their operations to Loyola as well. “I have not heard of a single other one that has been moved,” Mota said.